This year I’m implementing Library day every other Thursday. If possible, we may do it weekly from 5 to 9, but I really want to try to go at least a few times a month. I think this will help remove distractions and get the kids focused on projects or homework etc. Another thing I’m focused on right now is gearing up for meals. Here are my ideas for things I want to put in the freezer. 8. Dinners – There are a lot I can do. I just have to figure them out. There are @ 40 weeks of school. I would like to have something quick for Mondays (Scouts) and Thursday (Library Day). 48 pints of salsa, countless jars of fig preserves, tons of zucchini muffins, frozen zucchini, 50 or so cups of frozen bell peppers, lots of pickles, all kind of pickled peppers, canned roasted diced chiles, and tomato preserves. I think it is safe to say that our garden is pretty successful so far this year. It is safe to say that I’m tired, though not overwhelmingly so. The kids are at boy scout camp in Bastrop, so I’m pretty darn ronery. C. S. Lewis has noted, `Ceasing to be “in love” need not mean ceasing to love.’4 When such times come (and they will come), agape disciplines and nurtures eros. Agape has the staying power that can fan the embers of eros into flame once again. 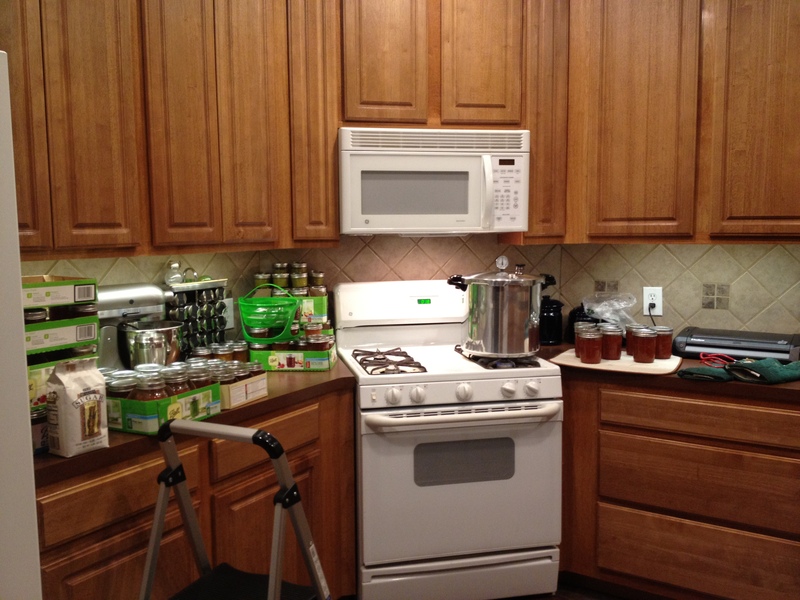 I’ve finished a ton of canning projects. 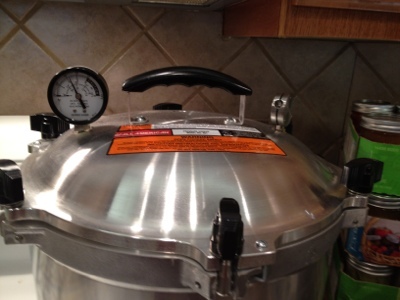 The best thing is that I learned to can using my pressure cooker!! So scary and exciting! 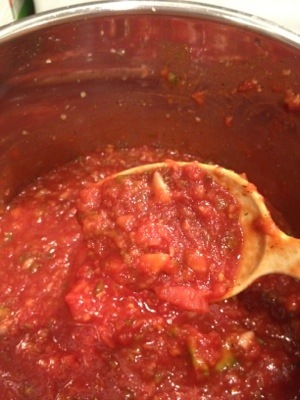 And I think I finally found a good salsa recipe!